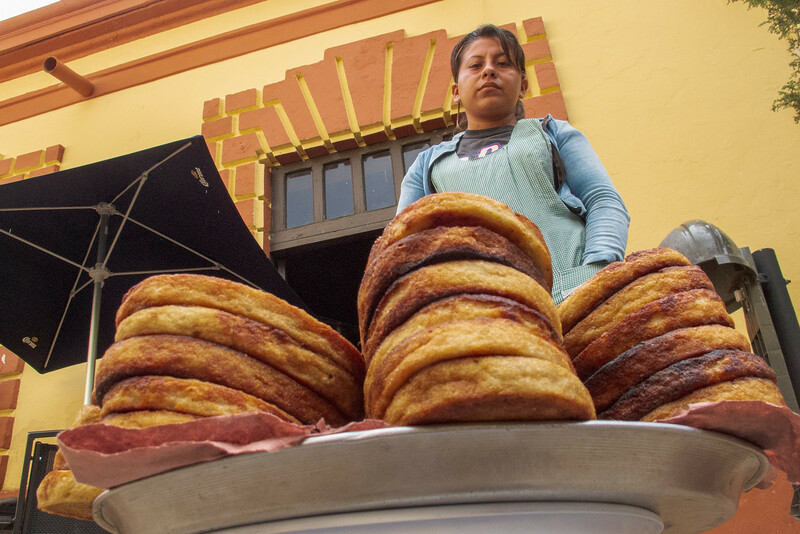 Every afternoon on the Andadors (walking streets) of San Cristobal de las Casas, mixed with other sounds are the voices of Pan de Elote (Mexican Corn Bread) vendors melodically singing out the availability of this unique street food. I was raised in Texas where cornbread is a staple of Southern Cooking. What I am used to is a savory, crumbly almost sponge-like cake great for soaking up the juices from soup and meats. No less delicious, Mexican Corn Bread is more dense and sweeter than what I was raised with. Apparently, the Mexican recipe for Pan de Elote calls for less flour and instead of sugar they use sweetened condensed milk. At five pesos a piece (about 40 cents) Pan de Elote can be just the thing for curing a slight hunger. It too is great as a side dish or in soups. Sounds delish! I missed them when I was in Mexico.